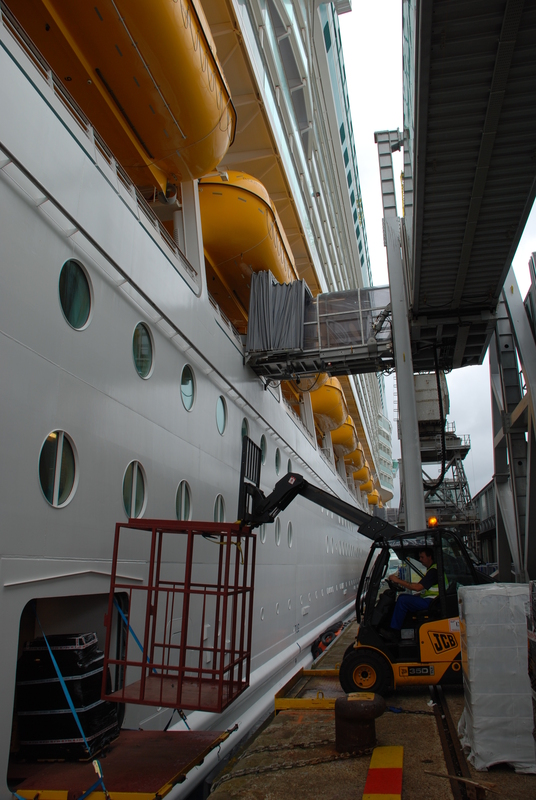 Port terminal operators Southampton Cargo Handling (SCH) have been awarded a three-year contract by Royal Caribbean Cruises Lines (RCCL) to provide passenger and stores services for their cruise ships calling in the Port of Southampton. The latest agreement extends a relationship between SCH and RCCL that has spanned more than ten years, during which time RCCL has helped Southampton to become the leading cruise port in Europe. RCCL, including sister companies Celebrity Cruises and Azamara Club Cruises, will make more than 40 turnaround calls in Southampton this year, led by the introduction of its new 168,000 tonnes ship Anthem of the Seas, which will arrive on the South Coast next month after completion in Germany. With space for 4,180 passengers, the Anthem of the Seas will be the biggest passenger ship calling in Southampton and will demand a major operation to handle passenger baggage and general stores during her regular disembark and embark calls. SCH will also be responsible for mooring and letting go the 348m. long ship. In addition to the Anthem of the Seas, SCH will handle calls by RCCL’s Explorer of the Seas, Celebrity Cruises’ Eclipse and Azamara Club Cruises Quest during this year. The contract extension with RCCL comes as SCH celebrates 25 years of operations, making it the Port of Southampton’s most experienced cargo and passenger handling company.